At Printers Row Dental Studio, we understand that you may have a lot of questions about our services, your treatment plan, or any other dental related questions. Below, we’ve taken the time to answer of the questions we get asked frequently. If you don’t see the answer to your question here, don’t hesitate to give us a call at 312-435-0411, and a member of our staff will be more than happy to assist you. Give us a call at (312) 435-0411 or you can contact us online. We kindly request that you give us 48 hours notice if you need to cancel your appointment. If 48 hours notice is not given, we reserve the right to charge a cancellation fee. We understand that dental emergencies come up. At Printers Row Dental Studio, our staff will work diligently to get you an appointment as soon as possible. You can give us a call at (312) 435-0411 or you can contact us online. 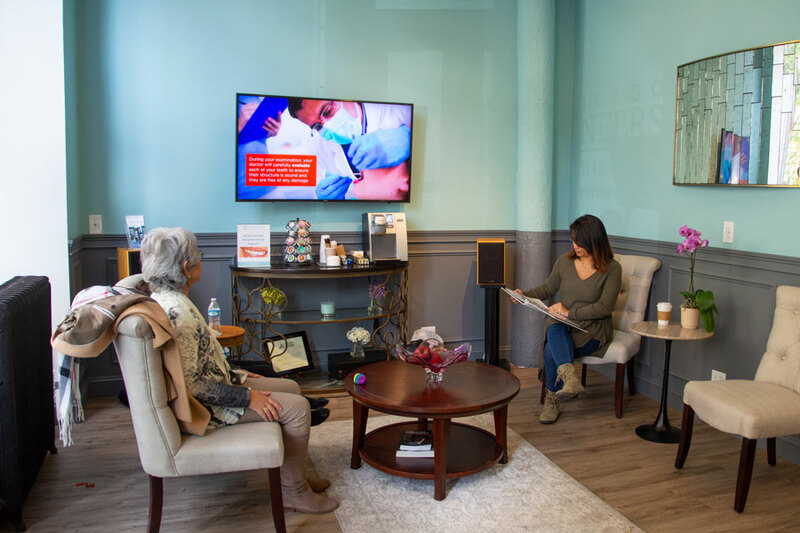 When you visit Printers Row Dental Studio, your dentist will evaluate your oral health history, discuss your cosmetic dentistry goals, go over your treatment plan options, and create a personalized treatment plan. Aside from a physical exam of your teeth and jaw structures, we may take impressions of your teeth to aid in the treatment planning process. We are committed to giving you the high-quality and personalized care that you deserve, and our team stands by every treatment plan that we develop. We also ask that you fill out medical history form before your appointment. Please fill the patient intake forms online before your appointment. They can be found here here. At Printers Row Dental Studio, we accept most insurances. We have financing options available including Lending Club, Care Credit, and more. For detailed information regarding our financial policy, please call us at (312) 435-0411 today.